The quintessential spider spins a web on which she waits for prey to come to her. That's not the case with wolf spiders, though. They're active hunters who ambush and kill a wide variety of prey -- some as larger or larger than themselves. Many spiders spin silken webs to passively capture prey, but wolf spiders don't wait for dinner delivery. These spiders, members of the Lycosidae family, are active hunters who stalk and either corner or rush their prey. Most active outdoors at night, wolf spiders can travel great distances in pursuit of food and don't usually settle into permanent homes or territories. Some species dig burrows to hide during the day -- others hide in them until they can ambush prey -- which they line or cover with silk. Although many spiders sport six to eight simple eyes of relatively similar size in a couple of rows, wolf spiders have eight eyes in three sizes arranged in three rows -- all the better to see you with. Their touch receptors are also finely honed to detect motion, which helps with hunting. Like many other families of spiders, wolf spiders are distributed across every continent except Antarctica. As such, their diet includes a litany of region- and climate-specific insects, other arachnids, and even reptiles and amphibians. The diet of a given species doesn't necessarily match that of its brethren in other areas, but there are some general commonalities. Some species are smaller than one-tenth of an inch long, while others can grow to lengths in excess of 1 inch. Most wolf spiders eat a variety of large insects, including beetles and grasshoppers. They'll generally attack prey as large or even larger than themselves. Because wolf spiders are nocturnal hunters, it's natural to assume they primarily eat insects and other prey that are most active at night. That's usually the case for wolf spiders who use burrows and other hiding spots to ambush their prey, but a hungry wolf spider can become quite a bit more resourceful. They're not above scavenging or even more devious tactics. Although youth and kinship appear to be mitigating factors, wolf spiders will eat other wolf spiders, according to University of Cincinnati research published in 2003. That's part of the reason you'll rarely encounter more than one or two wolf spiders in a given area. Among solitary adults, an interaction between wolf spiders usually results in mating or cannibalism -- or sometimes both -- regardless of whether other food sources are readily available. Wolf spiders produce venom, which they inject via their fang-tipped jaws, called chelicerae. When these spider pounce on their prey, they envenom them -- paralyzing or, more often, killing the animal. Wolf spiders immediately begin consuming their meal after this. Although they're not typically aggressive toward people, they will bite if cornered or handled roughly. Fortunately, though, wolf spider venom isn't particularly harmful to humans. 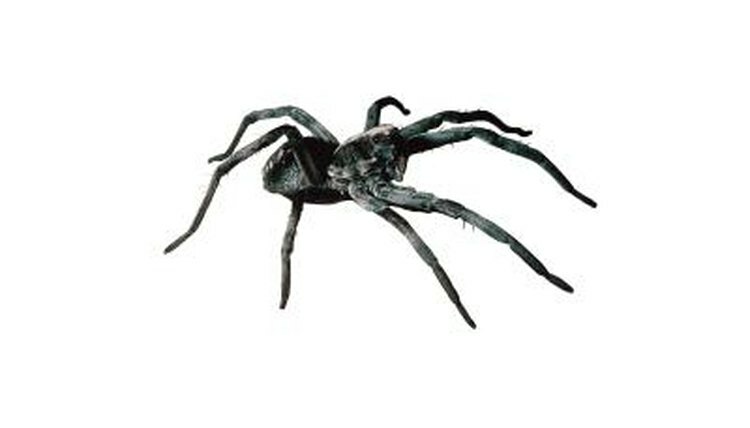 Many a brown wolf spider has been confused for a brown recluse, though, leading to confusion and panic.